Increasing environmental awareness and the need to eliminate the use of chemicals has led to a new philosophy in rose breeding. Many older rose varieties do not meet today’s requirements for disease resistance and abundance of flowers without the use of chemicals. Kordes’ have stopped the use of fungicides on their trial grounds allowing them to accurately assess each varieties characteristic. 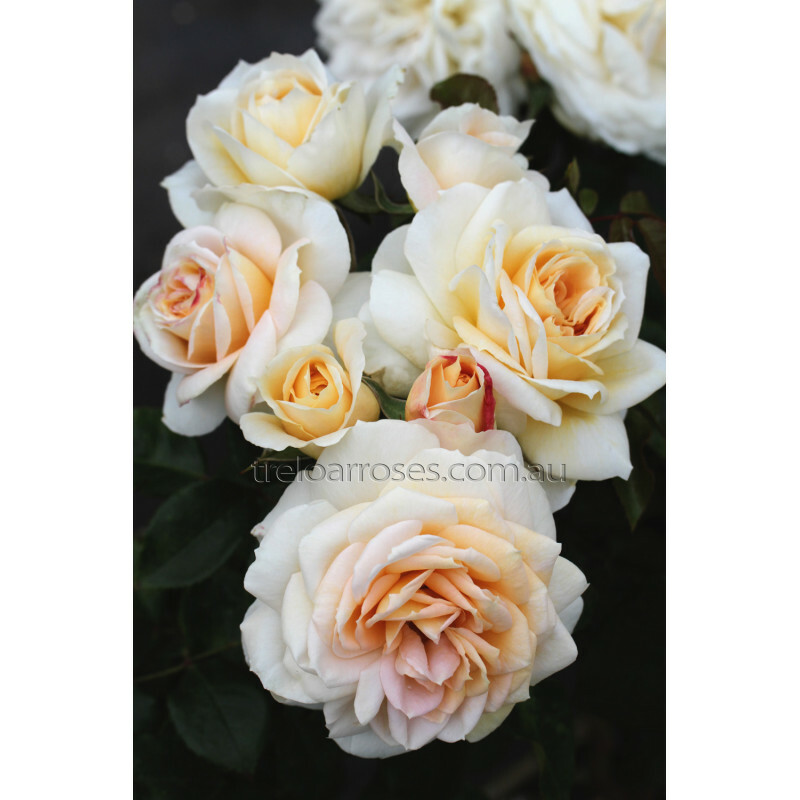 This has resulted in only the healthiest roses amongst the thousands on trial being released onto the market. The new philosophy of roses breeding has meant that in comparison older varieties are more susceptible to disease. As a result, older varieties are gradually being removed from the market to be replaced with more resistant new releases. If you are in search of roses that are beautiful, disease tolerant and easy to care for, look no further then Kordes' bred roses. (KORvandaber) - We cannot over emphasise the quality, health and flowering ability of this beautiful shrub from Kordes. The fully double creamy white blooms open with a breath of apricot and are produced in clusters of 3-5. There is a slight, pleasing fragrance and the glossy foliage is highly resistant to blackspot and mildew. Decorated with Gold and Silver medals in international rose competitions, this elegant variety will bring real pleasure to every garden. 1.2m tall. Please note this product is a bare rooted rose for delivery in Winter 2019 only. What is a bare rooted rose? Click here. You will receive ONE FREE ROSE of our selection if your order exceeds $100.00. Note: Free roses will be selected by us from our range of bush roses. The free rose is capped at one and is not covered by our warranty. ORDERS OVER $500 SHIPPED FREE!! The colour images and descriptions provided in our catalogue and on our website are to be used as a guide only. Every care is taken to accurately describe growth habits and reproduce the correct colour in our catalogue and on our website. However, other factors such as Australia's varied climatic conditions, seasons and soil type can affect blooming and rose growth. Treloar Roses have been growing and supplying bare root rose plants Australia-wide for over 50 years. Now in our third generation, Treloar's is the largest rose bush grower in Australia. 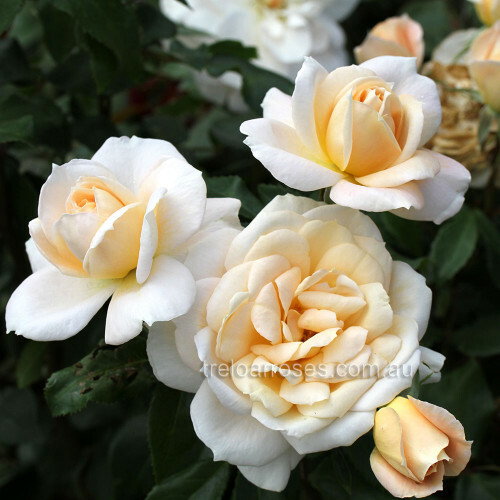 Our large range and extensive production experience provides a reliable source of rose plants both directly to fellow garden rose lovers and to selected garden suppliers. For more information Click here. Garden Hire - Weddings, etc. Copyright © 2019, Treloar Roses, All Rights Reserved.